One of the best ways to experience the mountains has to be riding single track. The Sierra Nevada mountains at Lake Tahoe are one of the best places to do this, with awesome views, exhilarating downhills and tracks for all levels of availability. You can choose to ride from ½ day to a full on 3 day tour. If you are travelling with a non-rider, then there is plenty for them to do in the area, from stand up paddle boarding to relaxing on the beach, or a beginners trip can be arranged. In the evening, we suggest you stay at the independent Basecamp Hotel, a hub for adventure travellers, where you can sit in the roof top hot tub and rest your tired limbs whilst watching the stars coming out, or sit in the cosy communal lounge and share tales of your day with like-minded travellers. Nothing quits beats the thrill of rafting down a river swimming and playing one minute and then, with a quickening heart, approaching some mighty rapids and riding them, paddling as if your life depended on it. 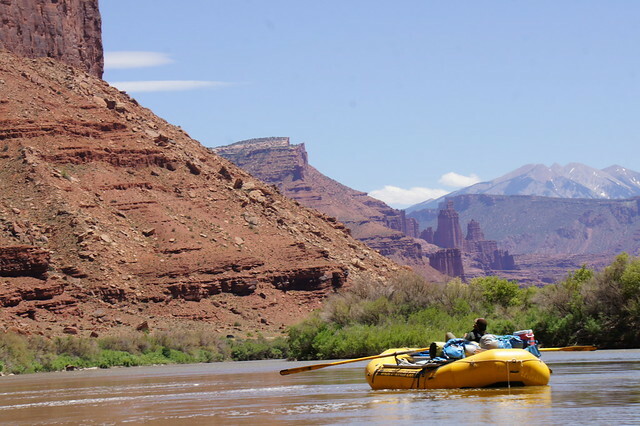 The best rafting that we have done is in Utah, based from the independent town of Moab. You can choose between anything from a 1 day rafting trip to 5 days on the river, camping on the sandy banks each night. With the multi-day trip, you get further away from other people and also have a chance to do some walking and nothing quite beats sitting by the river, toasting marshmallows on a campfire, watching the stars coming out overhead. 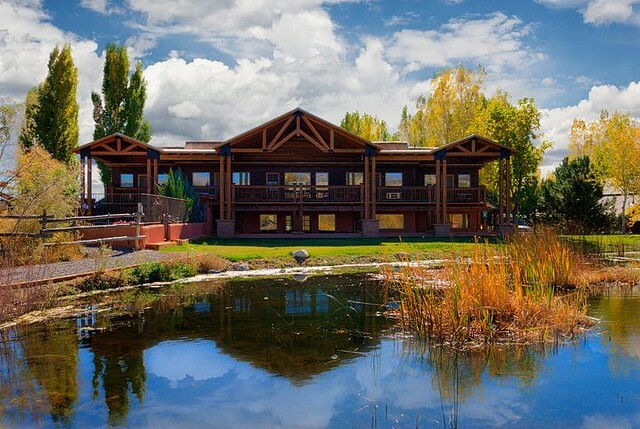 After roughing it on the river, we suggest a splurge by spending a couple of nights at the exclusive Sorrel River Ranch. 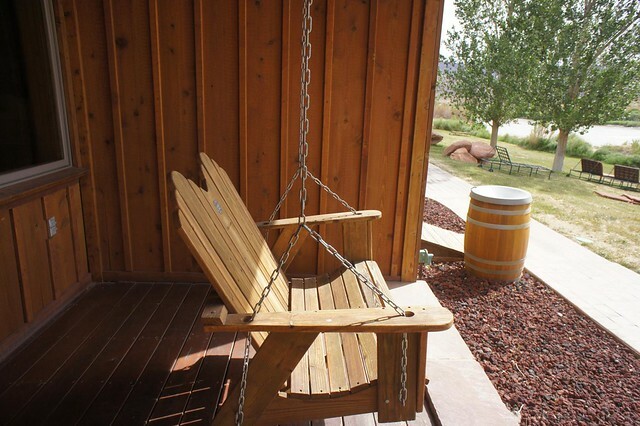 Here, you can visit the spa, releax around the pool, or watch the river running past you from the comfort of your swing bench. If some members of your party don’t fancy the rafting, this makes a perfect base for them while you hit the water. 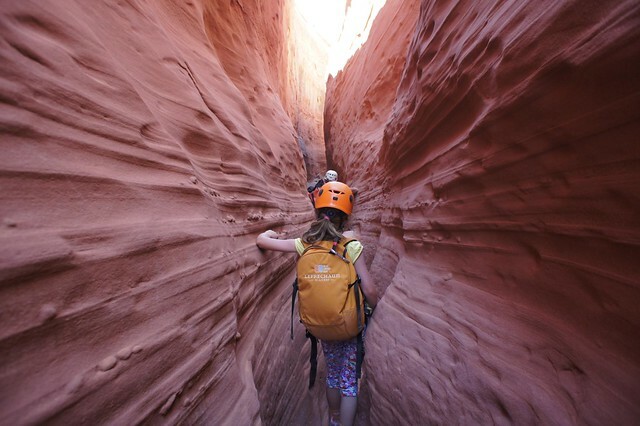 Utah is famous for its slot canyons, formed by powerful flash flooding and stretching for miles. The only way to experience them is to rappel, squeeze and shuffle through. Because of the ever-changing weather and desolation of the desert, we recommend you only explore the canyons with a guide. Exploring these deep red rocks is not for the faint hearted, however, there are exhilarating 50 foot plus rappels and tight spaces to squeeze through. You are rewarded at the end of the day, however, with a huge sense of achievement and the pleasure of spending a day without seeing any other humans. Escalante, where there are some excellent examples of slot canyons, is a small town with not much in the way of inspiring accommodation options. After a day canyoning, we strongly advise that you stay at the nearby Boulder Mountain Lodge to be rewarded with lovely views, a welcoming hot tub and delicious steak. 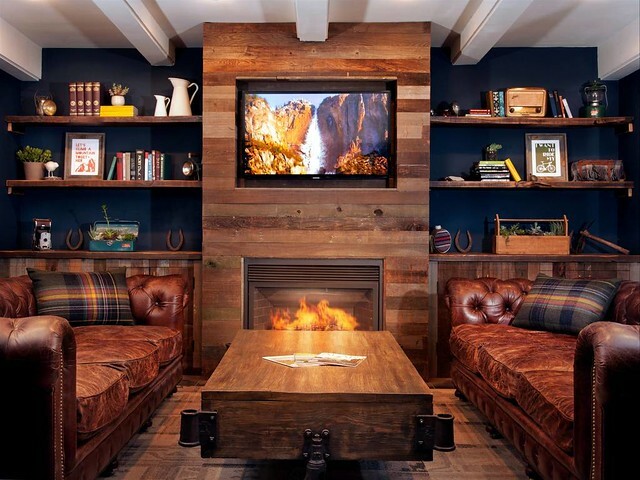 If some members of your party don’t fancy a day out in the canyons, there is plenty to keep them occupied at the lodge. The Ansel Adams wilderness area in the Sierra Nevada adjacent to Yosemite National Park has some of the most out-standing views in the USA and the best part is that you are sharing them with no one. If you like the idea of going off the grid and enjoy hiking and camping, then we recommend spending 4 days walking, wild swimming and breathing in the fresh mountain air. You can keep the price down and carry your own gear, or you can have it transported by mules. 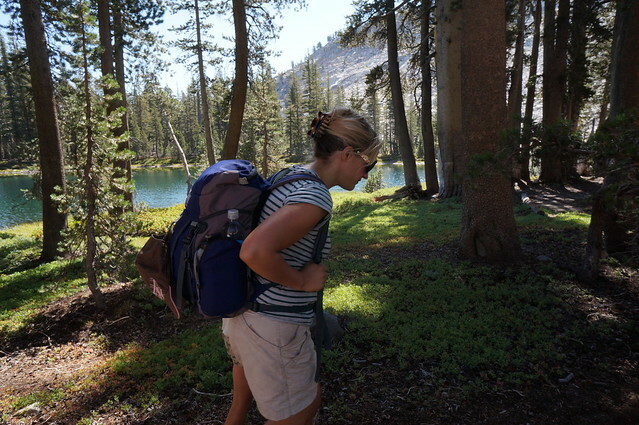 Hiking up to the remote mountain lakes, you will be roughing it, camping with no facilities, no bathrooms in sight. 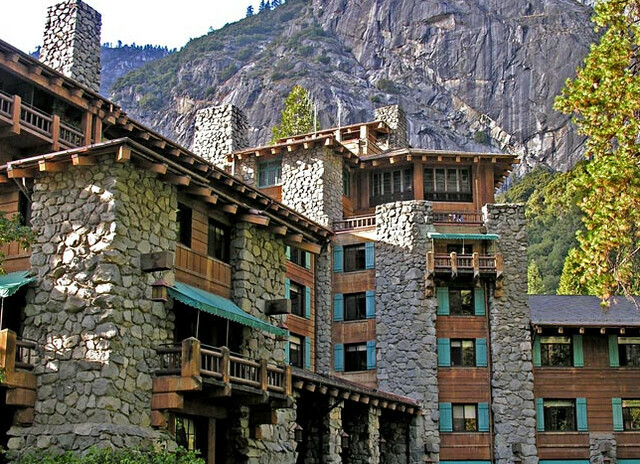 After a few days out on the wilds, we recommend you spoil yourself with some creature comforts, staying in a boutique hotel with all of the bells and whistles which you can use as a base for visiting the more popular of Yosemite’s attractions, or you can simply lie back and relax around the pool. 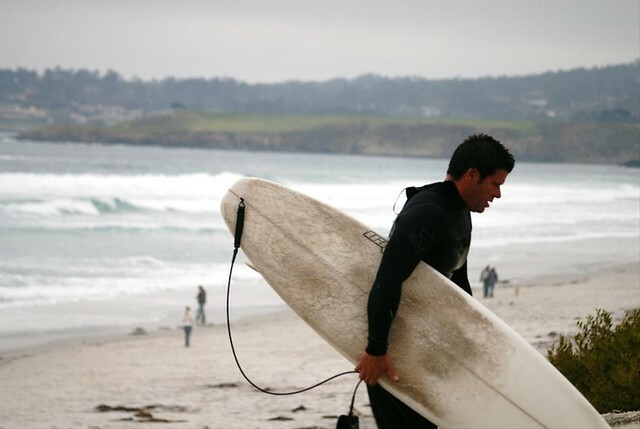 Vast Pacific rollers, sun-kissed sandy beaches and the Beach Boys, nothing speaks surfing more than California. You don’t need to be a professional to have a go; it’s just you and the waves. The best way to approach surfing is time; one day doesn’t cut it, especially if you’re a beginner. You need a good teacher, good equipment and lots of patience. For newbies, nothing beats the feeling of managing to stand up for the first time, whilst experienced surfers will just love the chance to be in surfing’s spiritual home. It is an exhausting sport, however, so you will need somewhere comfortable to rest afterwards. 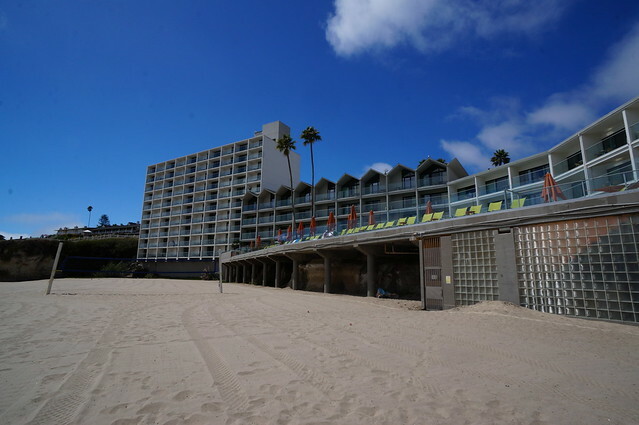 If you are travelling with a non-surfer, then we suggest the Dream Inn at Santa Cruz. While you are out surfing, your other half can watch from the balcony, or catch some rays and relax at the hotel swimming pool which over-looks the beach.